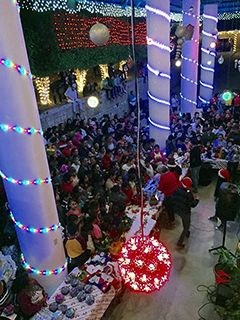 Our Night of Lights was held on December 17. We had a turnout of 512 people this year. 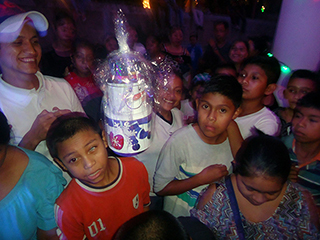 Candy bags were given to the children, everyone received a candy cane, Christmas tract message, coffee with chocolate and a raffle ticket. My sister Jeanne's youth choir sang some Christmas carols. We gave over 200 items by raffle plus threw out into the crowd mini beanies, tooth brushes, sponges, candy, beads and balls. The people enjoyed the lights and blow ups and took many pictures. This is an annual family event that we do at Christmas time to allow the public to come and enjoy the Christmas cheer. The people look forward to it every year. 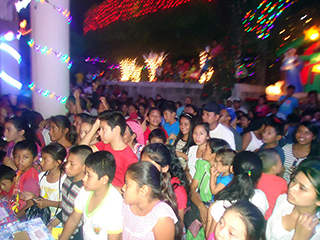 We had a very successful VBS this November. 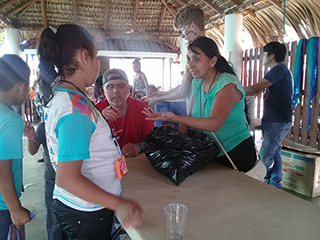 We had a large team of 21 people who came from both Michigan and Texas to assist and support this outreach. We registered 320 children; 20 children over the number that we had set😊! We eliminated crafts this year; which has always been the area of biggest challenge for the needed time restraints. It worked much better. We also changed the ages to include children from 5-10 years of age. 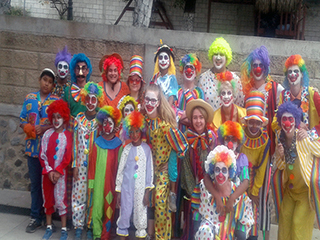 The children started with time with a professional clown that we have used for many years. After that 40-minute time segment; the children were divided into four groups and rotated in 25-minute intervals between class time, yard games, a Veggie Tale DVD and a variation of bingo. The last day gave a 2-hour time frame for the children to use their earned points from their attendance and participation in a variety of ways. There were 4 blow up inflatables, face painting, animal balloons, a dunk tank, food sales and a store. 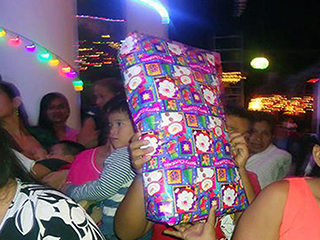 The kids had a wonderful time and are always so excited to come and participate. 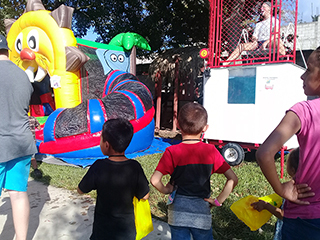 Along with the fun that it provided, it more importantly sowed a lot of spiritual seed into the children’s lives as they learned how a personal relationship with Jesus can help them in their daily lives. 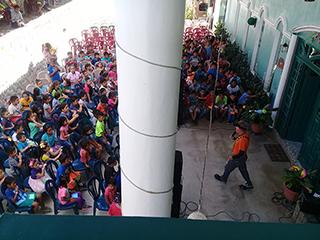 180 children accepted Jesus into their hearts….praise the Lord for this seed sown in the tender ages of these children. May they continue to grow in their understanding of the Lord and fulfill the plan and purposes that He has for their lives!